Taquitos, Tacos Dorados or Flautas? Taquitos, tacos dorados, or flautas? Whatever you call them, they are delicious. Growing up in California, I knew this dish as taquitos which means “little tacos.” In Northern Mexico, they are called flautas which mean “flutes.” In Central Mexico, they are known as “tacos dorados,” which means “golden tacos,” because they are fried until golden. A tasty variation on chicken tacos. The avocado salsa makes this dish. It is fresh, tangy and a little spicy and making the it couldn’t be easier. Since this is a no-cook salsa the freshest, ripest ingredients are important. When you are choosing the avocados, you want ones that are very ripe and soft. Soft avocados give it a creamy texture. To tell if an avocado is ripe enough, use your thumb and gently push on the top where the stem connects. This is the narrower end of the avocado. The flesh should give easily. If it doesn’t give with very little pressure, it isn’t ripe enough. If the salsa is too thick add water 1 tablespoon at a time until you get the consistency that you want. Add 1 teaspoon salt and adjust to taste. This is what your salsa should look like. It should be a little thick so that it coats the back of the spoon. You don’t want it to be too runny. Put your chicken breasts in a pan. Add just enough water to cover the chicken. Add a teaspoon of salt to the water. As soon as the water boils, reduce the heat to a simmer and cook until the chicken is just cooked through. Allow the chicken to cool to the touch. Cut the chicken into 1″ pieces and then shred with your fingers. 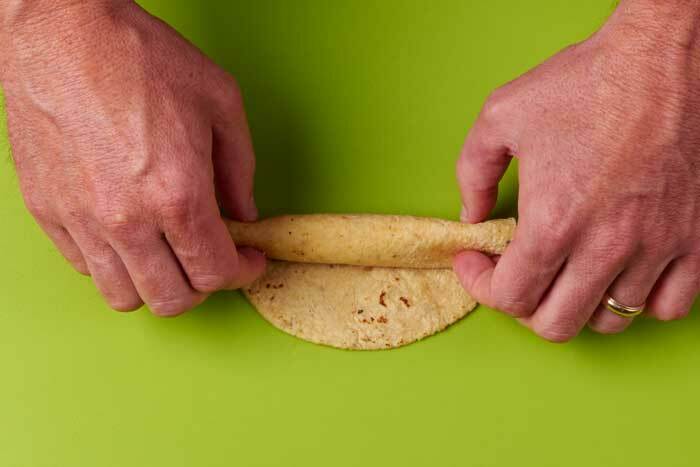 Start with a fresh pliable corn tortilla. If your tortillas aren’t pliable enough, put them on a plate and cover with a damp towel and microwave them for 10 to 15 seconds. Use about 1 tablespoon of shredded chicken for each. Don’t overdo it with the filling. You want to have a nice balance between the tortilla and the filling. 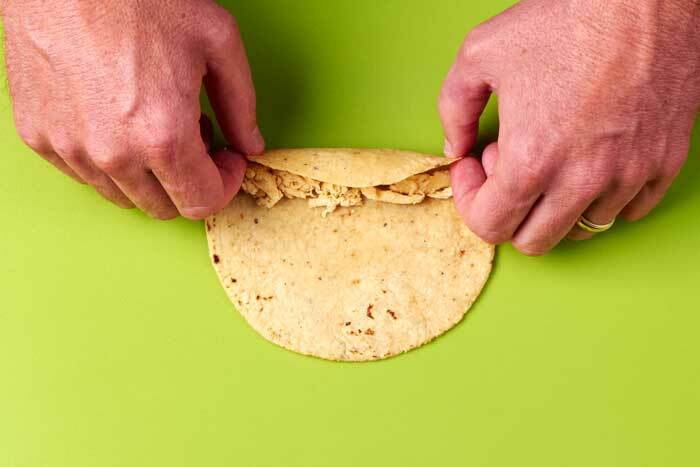 Fold the edge of the tortilla over the filling to start rolling. 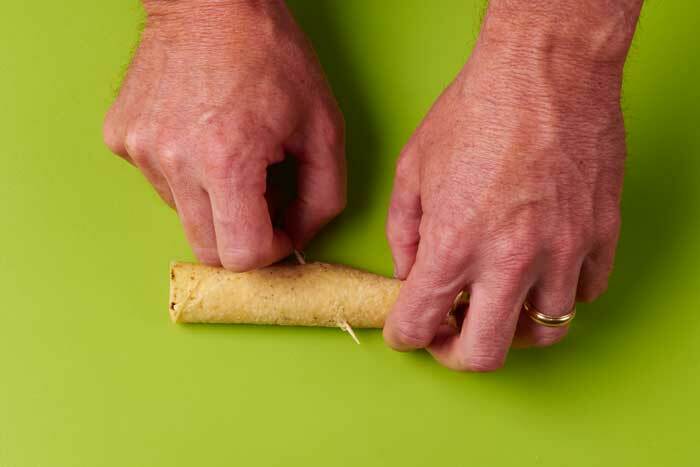 You want to roll the taquitos tightly so that the filling doesn’t fall out of the tortilla during cooking. Use a toothpick to keep the tortilla from unrolling. Four taquitos per person is a good serving size. Don’t forget to remove the toothpicks before serving. 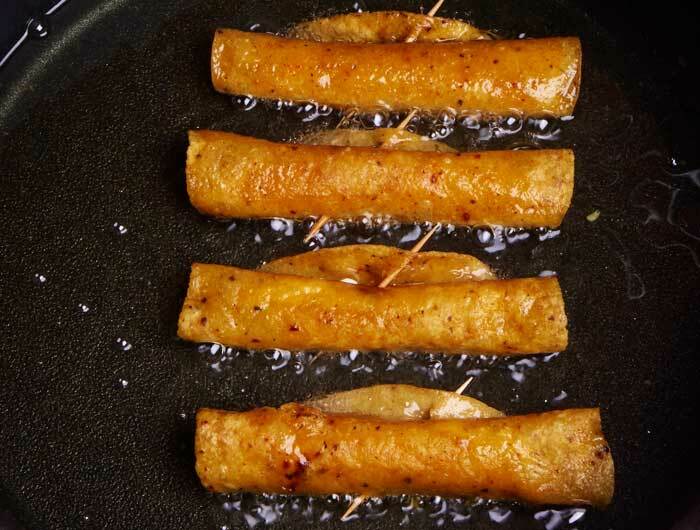 Taquitos are meant to be crispy and golden. That means cooking them in a good amount of hot oil. Nothing ruins taquitos like soft soggy spots. You will want to fry them in 1/2″ of cooking oil turning them once. Be sure to drain the cooked taquitos well so that they aren’t overly greasy. 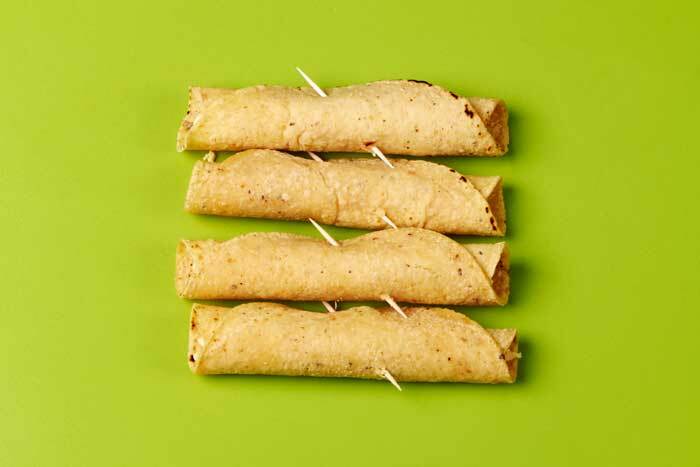 Drain the cooked taquitos on napkins or paper towels to remove excess oil so that they are not overly greasy. 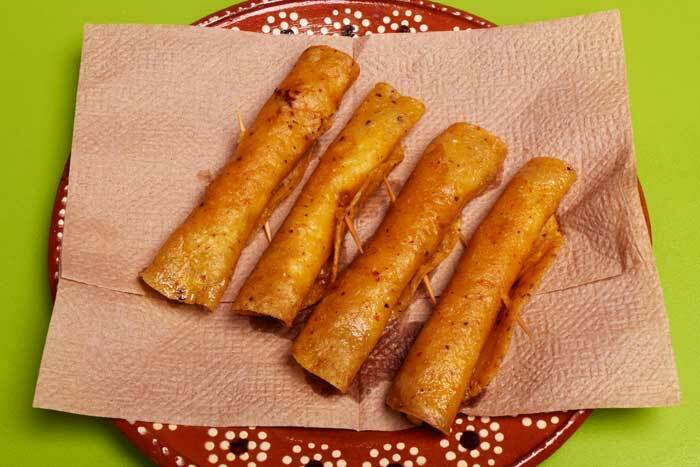 Place four cooked taquitos on a plate. Spread a teaspoon of cream on each one. 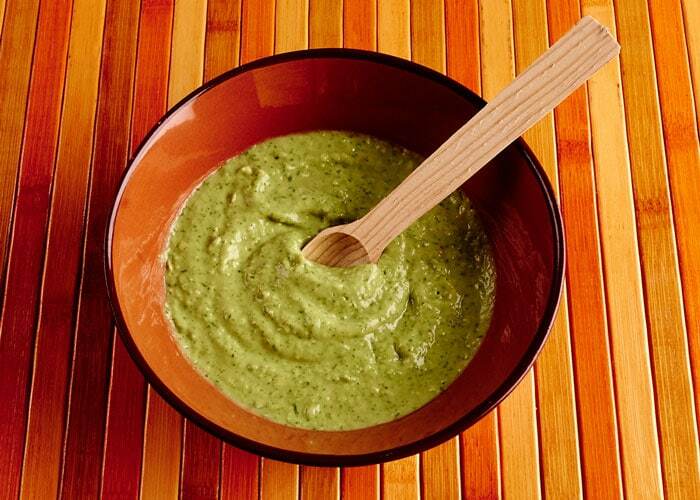 Spread a tablespoon of avocado salsa on each one. 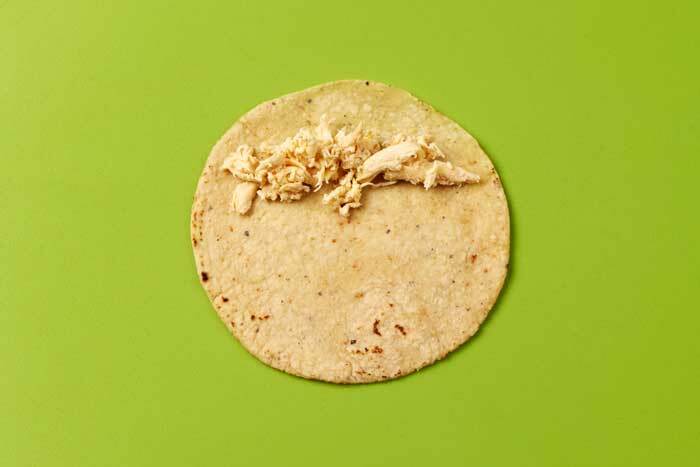 Sprinkle with shredded queso fresco which is a salty fresh cheese. How to make perfect, golden, crispy corn tortilla chicken taquitos topped with Mexican cream and an avocado salsa, a lunchtime favorite throughout Mexico. 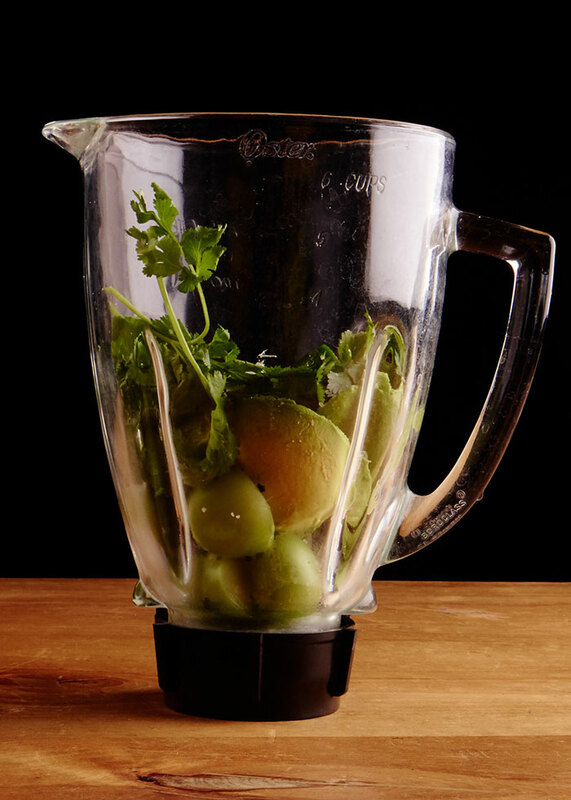 Add all of the salsa ingredients to your blender and blend until smooth. As soon as the water boils, reduce the heat to a simmer and cook until the chicken is just cooked through. About 15 minutes. Cut the chicken into 1" pieces and then shred with your fingers. Spoon 1 tablespoon of shredded chicken onto a tortilla. Add the 2 cups of cooking oil to a large frying pan. Preheat the oil to hot. When the oil is hot add 4 to 6 taquitos to the pan. Do not crowd them. Cook the taquitos until they are crispy and golden. Remove the taquitos and place them on a plate covered with paper to drain the grease. Repeat until all of the taquitos cooked. Taquitos should only be made with corn tortillas and they should be fried not baked. Serve immediately so that they remain crispy. When you say “put a teaspoon of cream on each one” what kind of cream are you talking about? 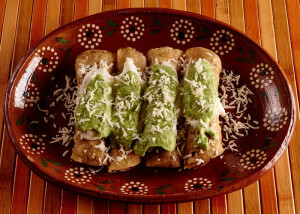 You can use Mexican cream called “crema” or sour cream to top the taquitos. I have updated the recipe to make it clear. Thanks for the question! These sound so good. I can’t have any storebought ones due to a soy allergy so I really appreciate the recipe and all the directions! You will enjoy these taquitos so much more than storebought. Cheers! How do I cook and season the chicken? Should I use chicken tinga for this recipe? Robert, I have updated the recipe with the typical preparation to make it clearer. Using chicken tinga would be an interesting option. Thanks for the question! Cheers! 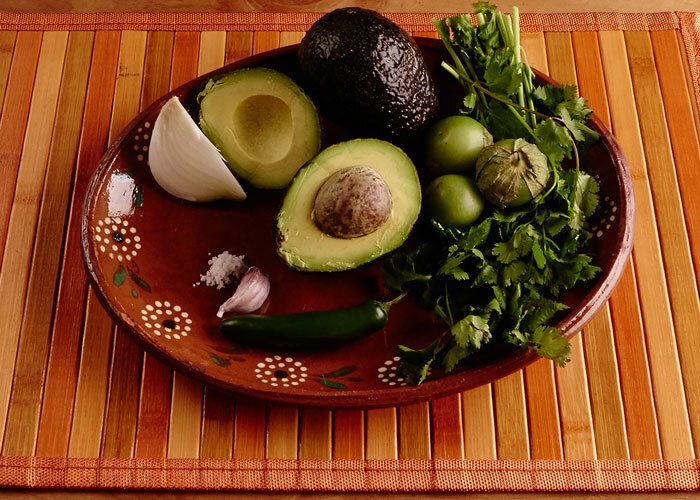 For the non-cook avocado salsa, do we measure ingredients at our discretion?